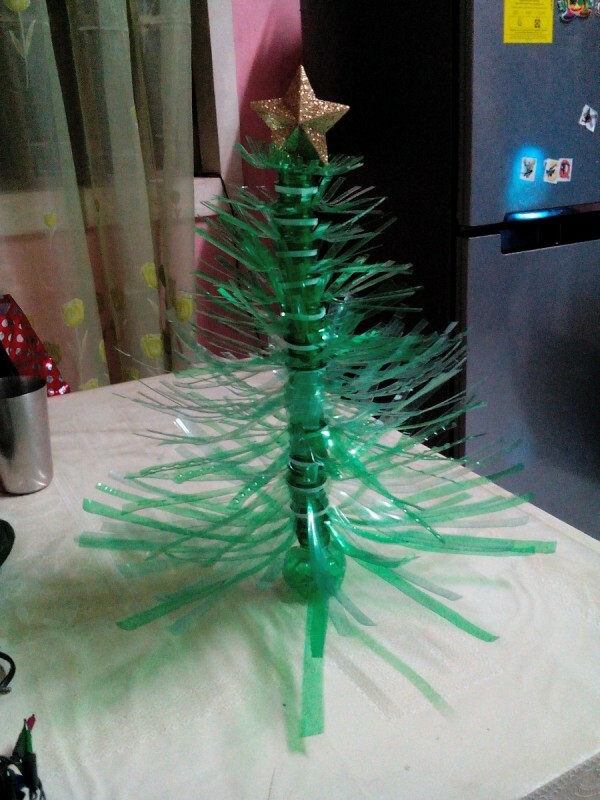 Green plastic soda bottles are the perfect material to recycle into this clever tabletop Christmas tree. 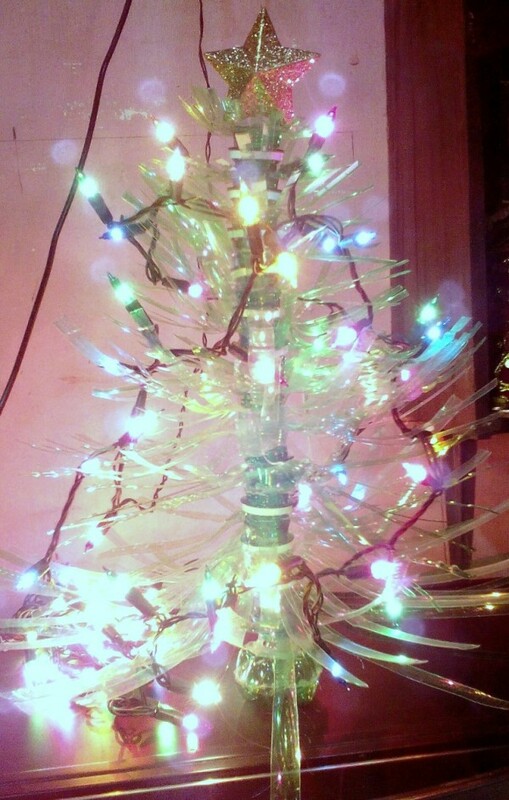 This is a guide about how to make a plastic bottle Christmas tree. 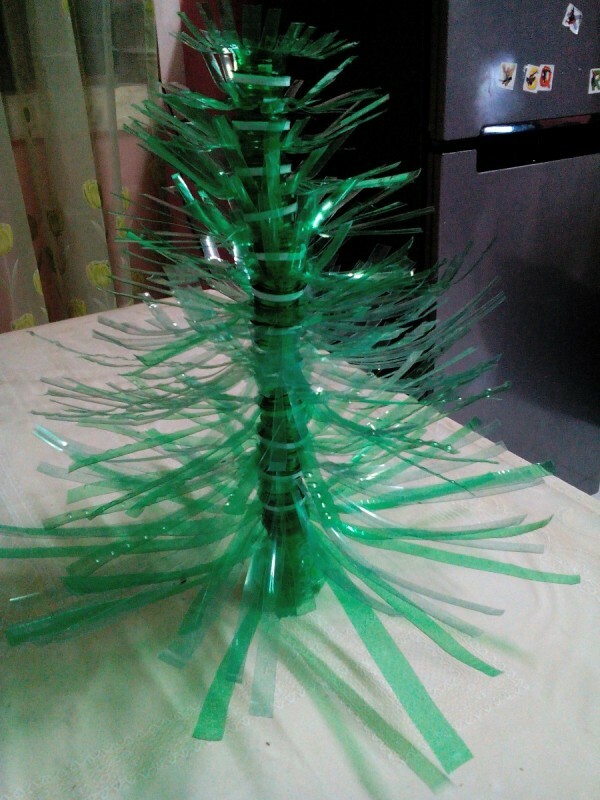 Note: Think first and decide on how tall your Christmas tree will be to determine the number of plastic bottles you are going to collect and the length of your stick. 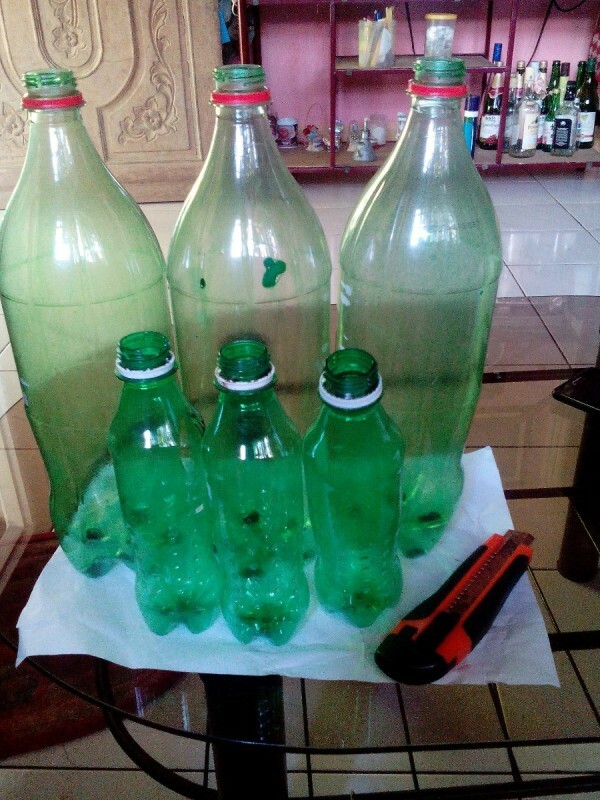 Start by removing the bottom of each plastic bottle. Cut them into different sizes. 1 bottle should be shorter than the other. 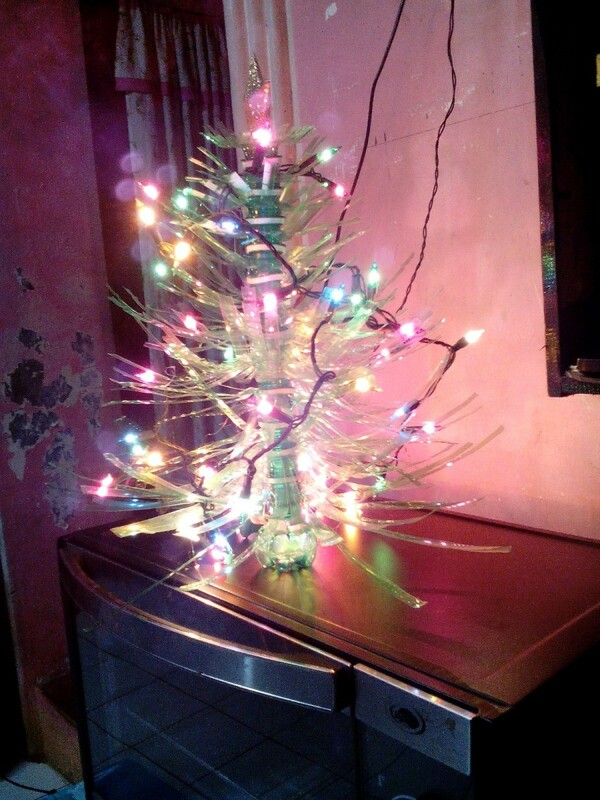 This is to emphasize the shape of the tree. 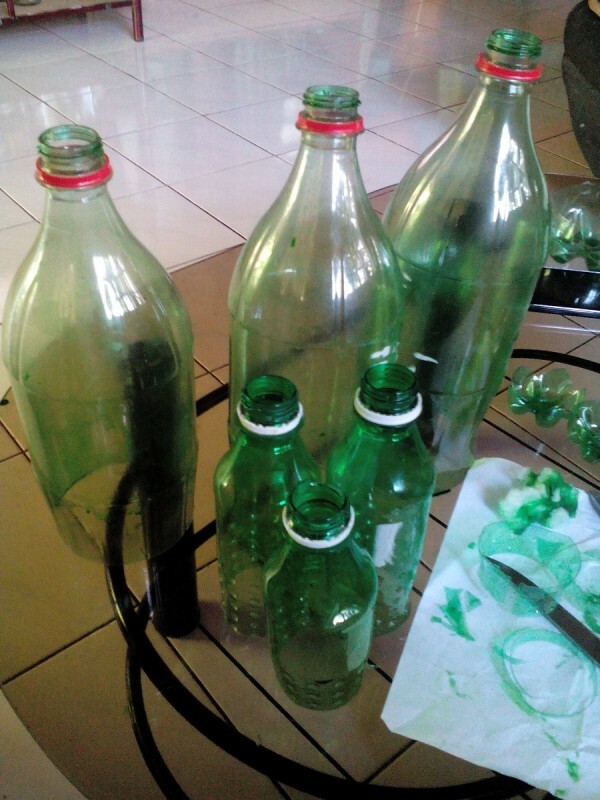 Then cut each bottle into thin strips from the bottom to top. Press or pull down the strips. It should look like this. 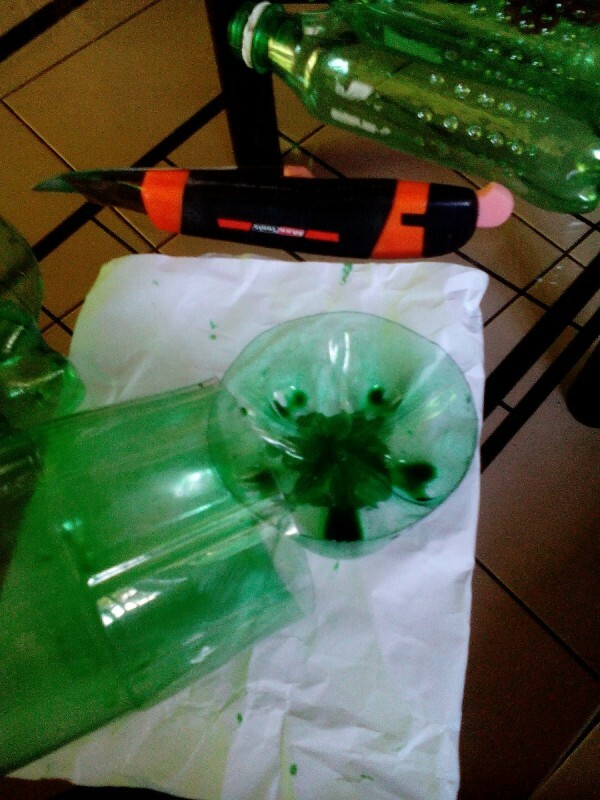 Glue two bottle bottoms together. 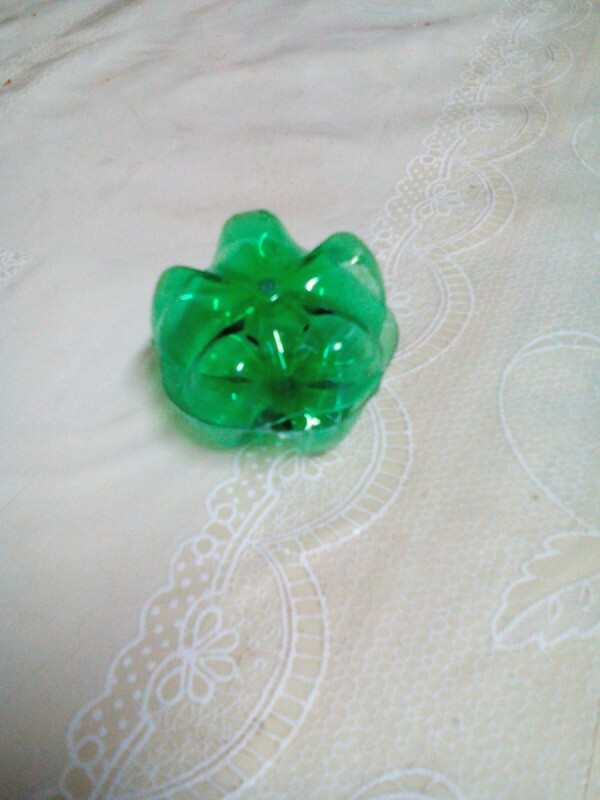 This is the base or the stand. 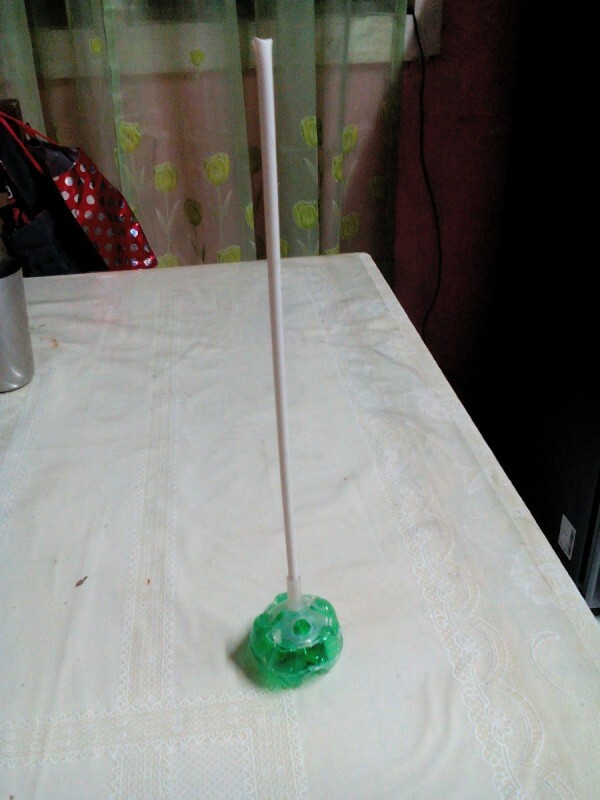 The stick I'm using is a balloon stick. 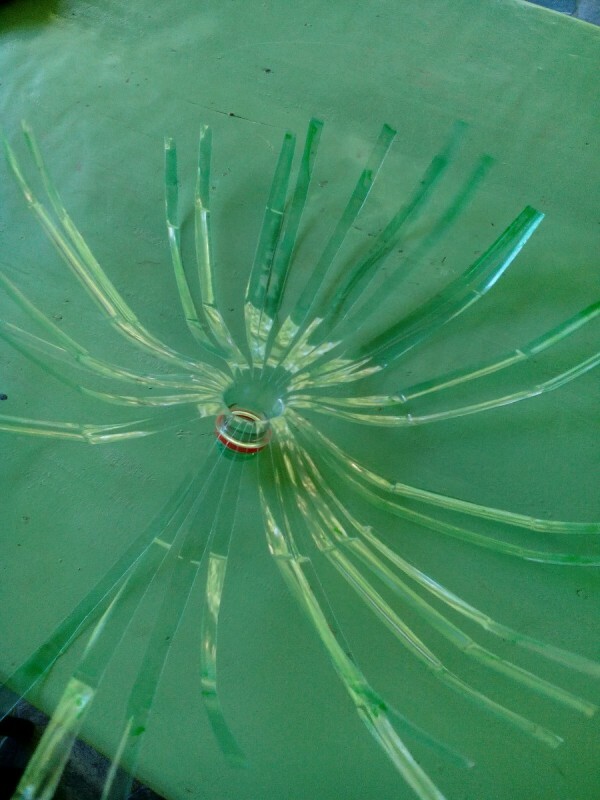 Let it stand into the center of the base and secure with glue. 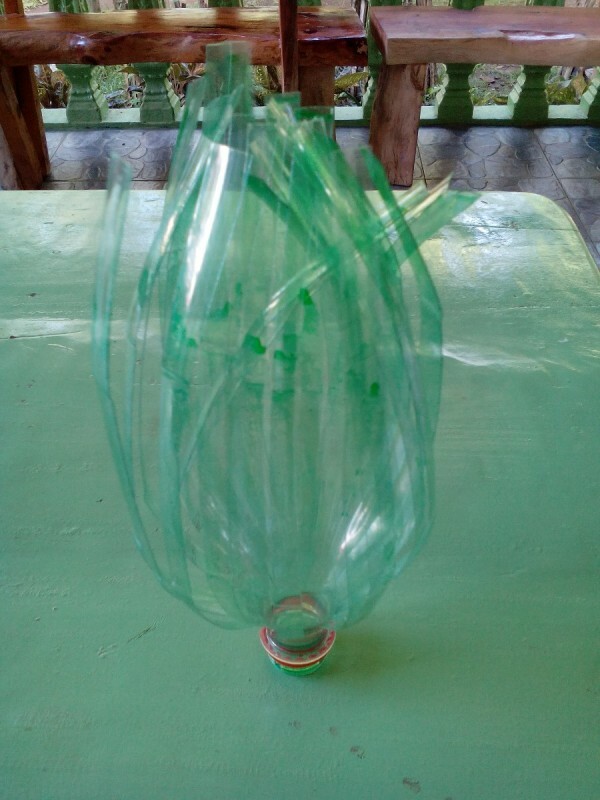 Stack the layers of plastic bottle strips. Start with the biggest/widest strips and going up is the smaller ones. Secure each layer with hot glue. 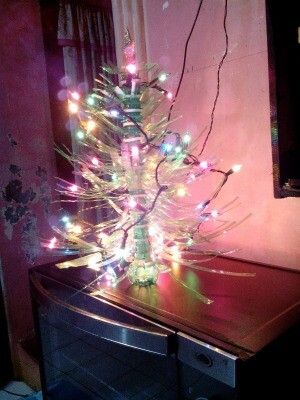 Put a star on top. Just add in some lights and you're done! How amazingly clever is this little tree! And if everyone made one that would be a few thousand less bottles to litter our world! 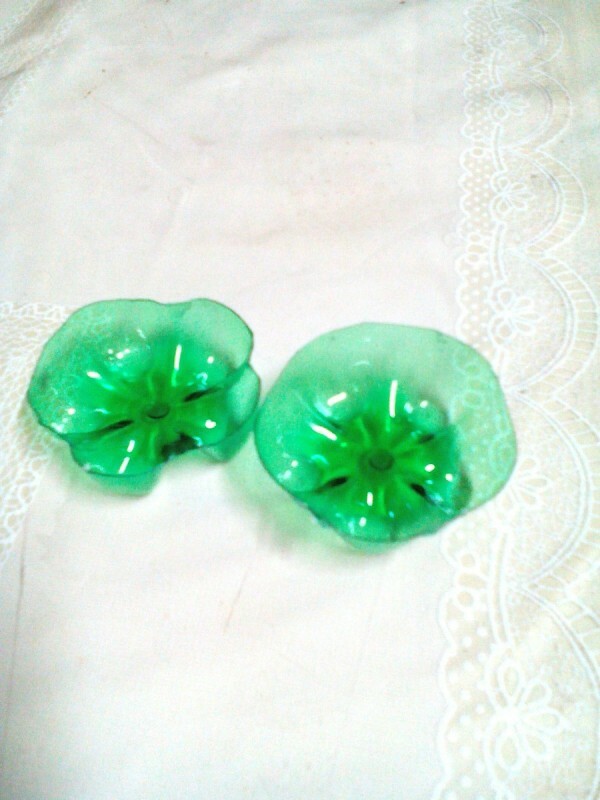 The traditionalists like me could use green and the ones who like alternative colour schemes could use any colour at all! Thanks for sharing!